SPAR Switzerland’s Christmas fundraising campaign, organised in the run-up to Christmas in 175 SPAR neighbourhood stores, was a huge success with almost €60,000 raised. Customers were invited to donate an amount of their choice to local charitable foundations, home care services and non-profit institutions in neighbourhoods and villages across the country selected by SPAR retail colleagues. The organisations that were chosen are committed to helping the needy or the general public on a daily basis, making an important social contribution and promoting an active community network. 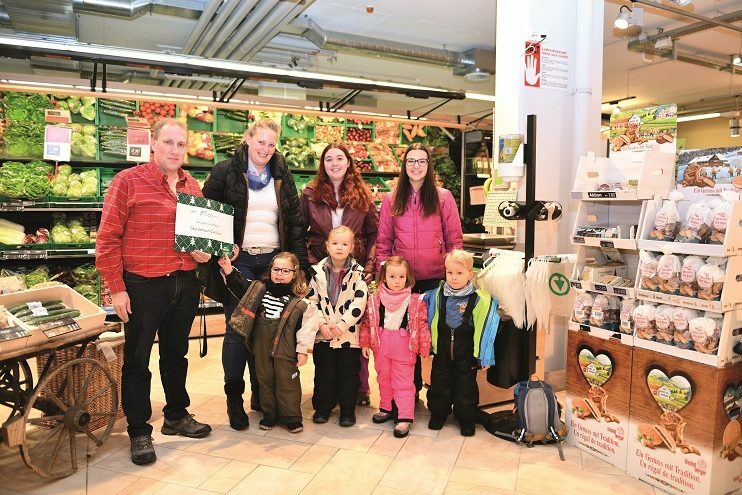 As a sign of appreciation for their work, which is usually carried out under tight budgetary constraints, SPAR Switzerland launched the Christmas donation campaign, triggering many positive customer reactions. An overview of all Christmas donations is available on the SPAR Switzerland website. SPAR Switzerland, originally an independent family-owned company with a local shareholder structure, was founded in 1989, when it was granted the licence by SPAR International to operate the brand. In 2000, the family-owned business was transformed into a holding company with three operating companies: SPAR Handels AG, TopCC AG and SPAR Management AG. This move helped to give the company a modern, future-oriented structure. The business has recorded steady growth over the years, combining corporate and independently owned stores, spanning forecourt retailing to large supermarkets. In early 2016, SPAR Switzerland announced the sale of 60% of shares to SPAR Group Limited, South Africa. The existing management team and shareholders remain in the business.